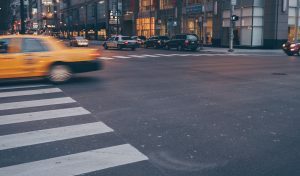 Merced, California (March 21, 2019) – A 26-year-old woman was struck and killed by a vehicle Wednesday night in the area of Merced, according to the California Highway Patrol. The collision happened at around 8:40 p.m. Wednesday, March 20, on Highway 99, just south of Franklin Road. As per the CHP officials, a woman was driving her car on Highway 99 when she was pulled over by a police officer after the officer noticed the car was unable to stay in its lane. As the officer talked to the woman, he could smell an odor of alcohol coming from inside the vehicle. The officer was from training and was on his way to the office. He then returned to his patrol car and it was at this moment that the woman ran across the road through southbound lanes of traffic. She managed to cross the road safely at first but when she tried to run back across the southbound lanes of traffic, she was hit by a southbound vehicle. The woman was pronounced dead at the scene. Her name was not immediately released awaiting notification of next of kin. If you are the victim or a family member and would like a free copy of the police report, please contact Pacific Attorney Group at 866-803-6502 .